This private university, established in 1885, has 36,000 students on a large and well-kept campus. There are some lovely older buildings. It’s a great opportunity for runners to get off the busy streets. 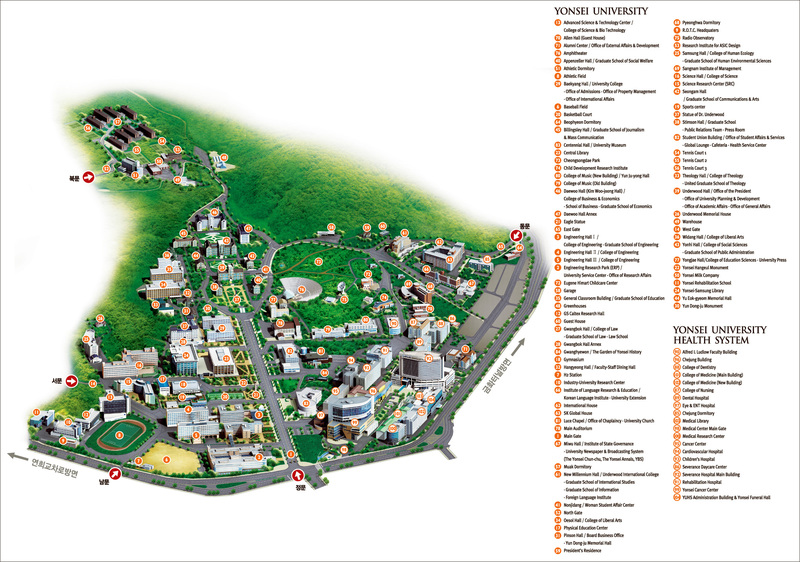 The campus itself is hilly, flanked by wooded trails. The road from the main gate entrance is fairly flat. There are sidewalks/walking paths along the main roads of campus, all of which are lit as well. 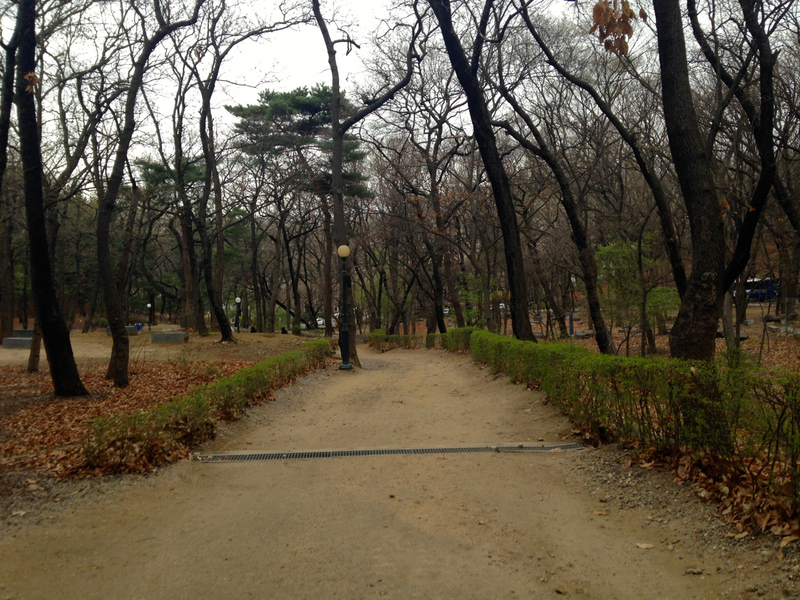 One can put together a pleasant and varied run combining the university’s campus paths, wooded traols, and Cheongsongdae (Forest) Park. 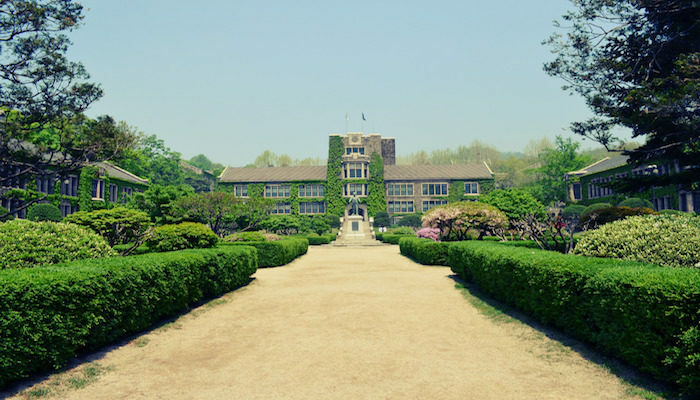 Yonsei University is also at the base of Ansan Mountain. Combine the university trails with a run/hike to the 900-foot summit (lots of stairs), or the other paths, such as the gentler 7 km path around the base of the mountain.